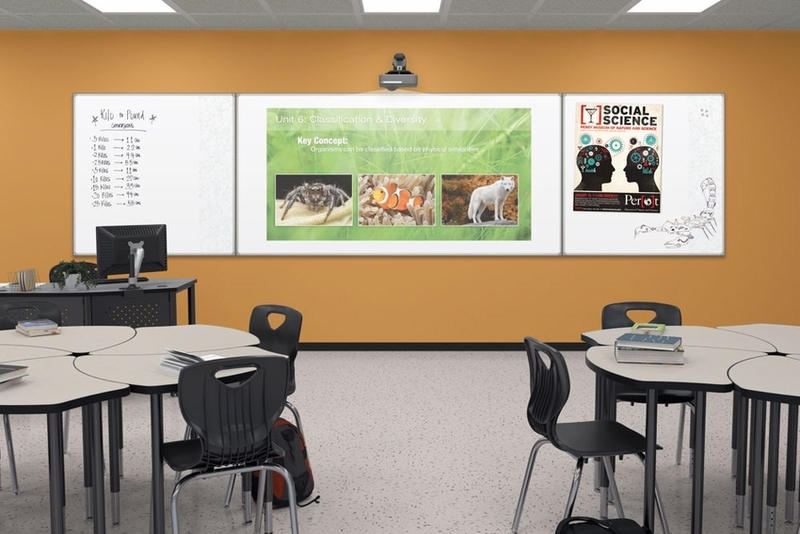 The ideal multi-function board, the Brio Trim Interactive Projector Board is packed with all the features you need to keep your organization up-to-speed. 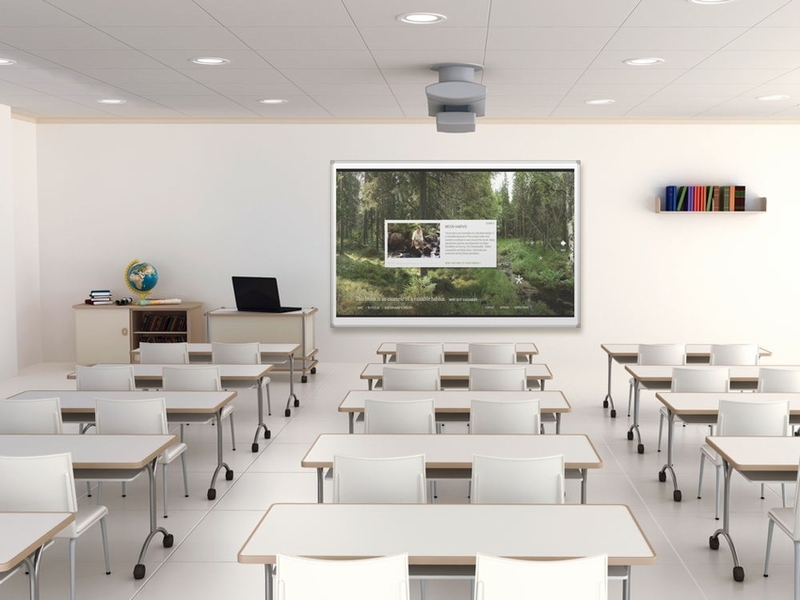 With a durable porcelain surface that gives everyone in the room a great viewing angle, as well as a low-profile aluminum trim that won?t reflect or cause distractions, this innovative projector board is likely to meet even the most stringent requirements. 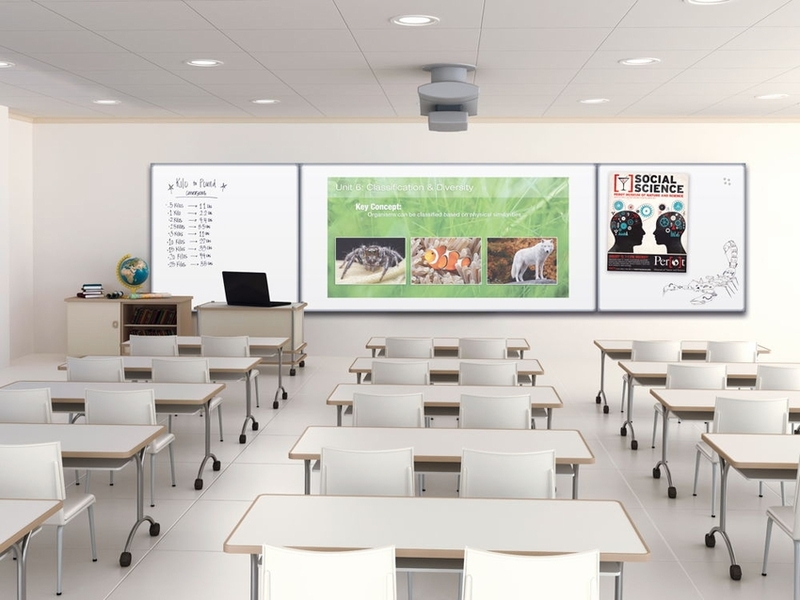 The Brio Trim Interactive Projector Board has widescreen dimensions that support projected images at 86-inch diagonals, 107-inch diagonals, and 113-inch diagonals. Even better, custom sizes are available. 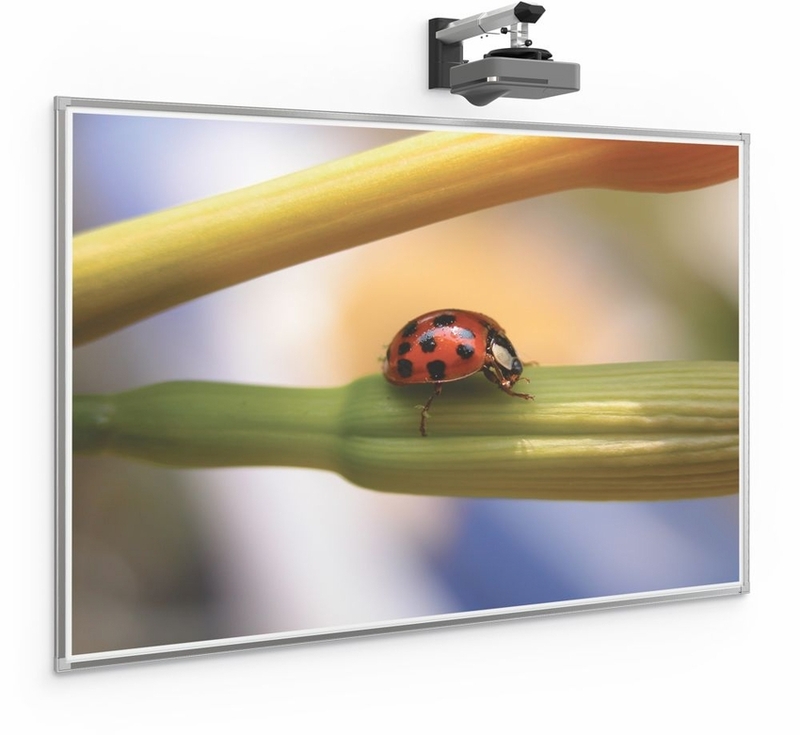 Because this board is constructed to meet exact specifications, you?ll enjoy maximum flatness that lets your interactive projector perform at its best; you even get a flatness guarantee that states you?ll have less than 2mm variation across the board?s surface. You can use this projector board on mobile carts or mount it to a wall without having to worry about waves, bumps and other disruptions on the surface. 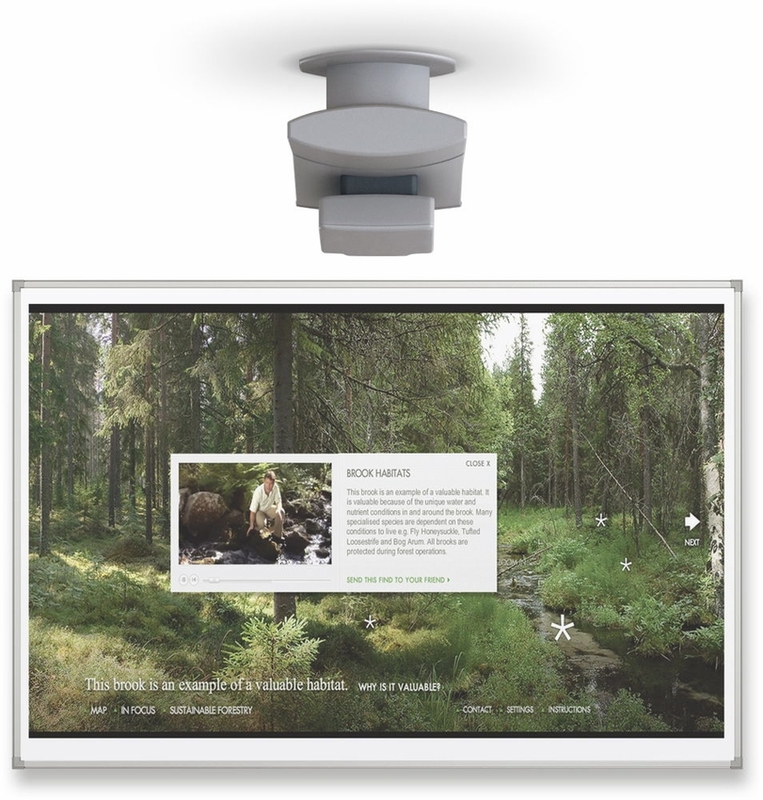 This remarkable, TAA-compliant board is ideal for spaces that are exposed to ambient light. Because of its easy-view surface, your team doesn?t have to worry about eyestrain. 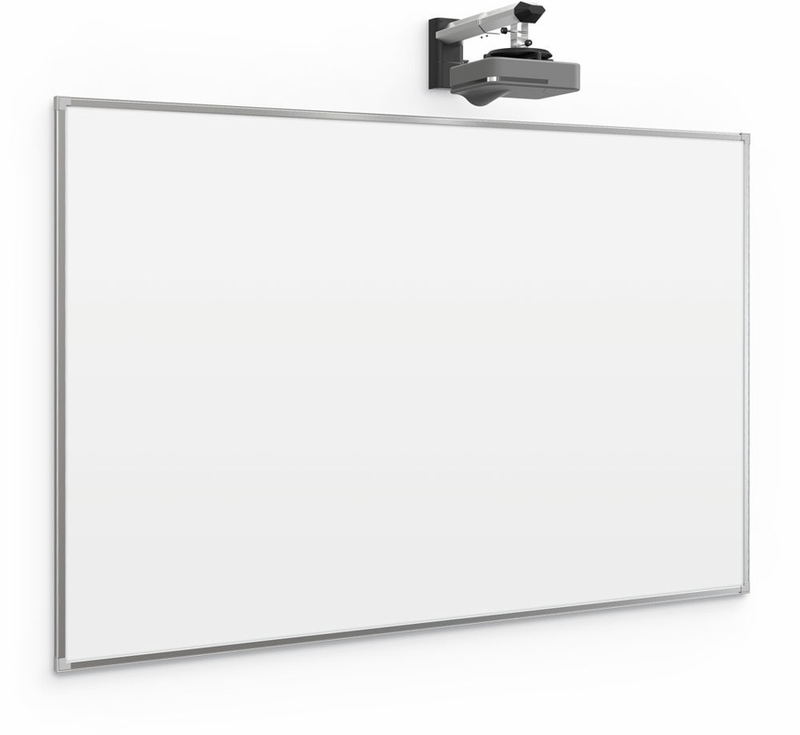 In addition to being easy to see, the Brio Trim Interactive Projector Board is easy to clean. Simply wipe the surface, and if necessary, use Green Erase Cleaner or another board-specific product. In that respect, it?s just like any other dry erase board. 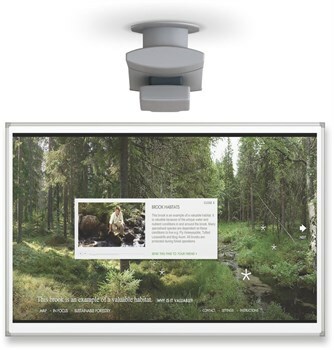 Matching the Brio Trim Interactive Projector Board to your space is simple. Choose between a projection gray or gloss white porcelain surface; either way, it will keep your office, meeting space or other area streamlined. Even better, this interactive projector board comes with a 50-year guarantee; that?s something you don?t find every day.